Its easy to forget how diverse the flora and fauna in Ontario really is. So, to remind my readers of the amazing things you can see outdoors I decided to start posting info on all the crazy creatures I stumble across on my forays into the wild. First up……. The Dragon Fly! 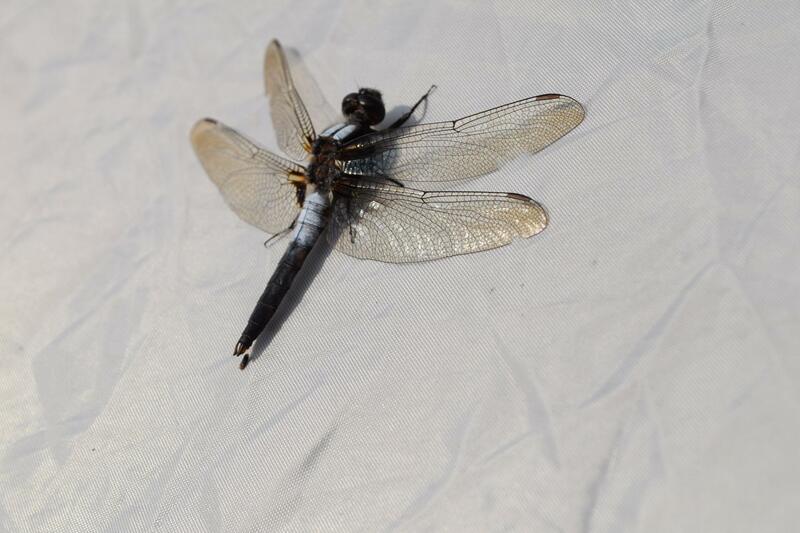 Ontario is home to approximately 172 species of Odonates, commonly called Dragonflies or Damsel flies. These little beauties are major predators in the insect kingdom eating smaller insects including mosquitos, wasps, flies and ants. -maximum speed of a dragon fly was recorded at 97 km/h! -eggs are laid in or near water! -the larval stage of a dragon fly can last as long as 5 years! What an amazing little insect! This entry was posted in Featured Flora and Fauna, Photography and tagged cool creatures, dragonflies, featured flora and fauna, insects of ontario, Ontario Dragonflies, the wilds of ontario. Bookmark the permalink.